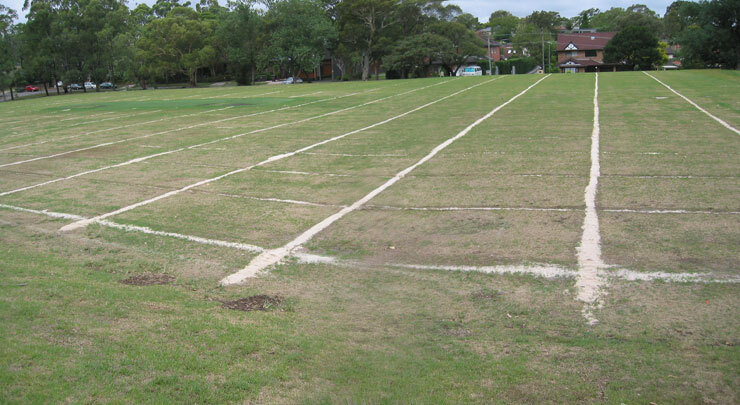 Why are all these lines on Field 6 at St Ignatius College, Riverview? Oh, of course. I should have known. 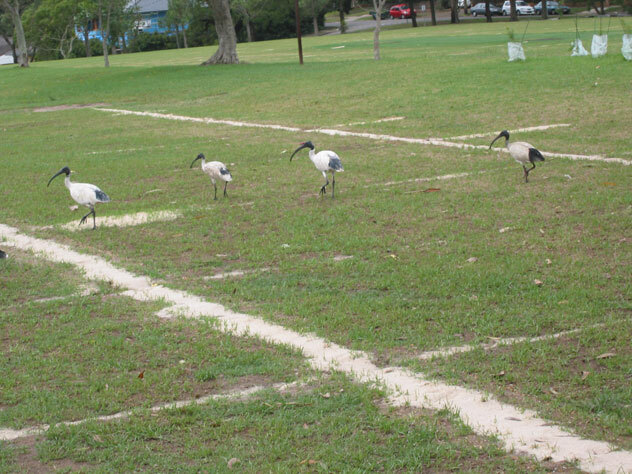 They're to keep the birds in their correct lane as they race neck-and-neck to the finish line. The spelling error that defies the delete button. 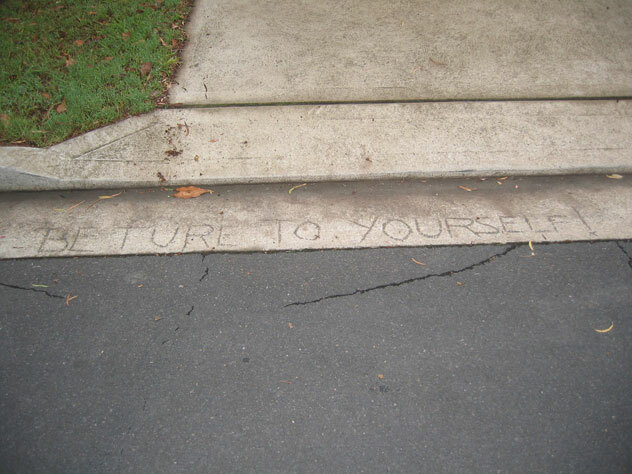 It's set in concrete in Pengilly Street, Riverview. 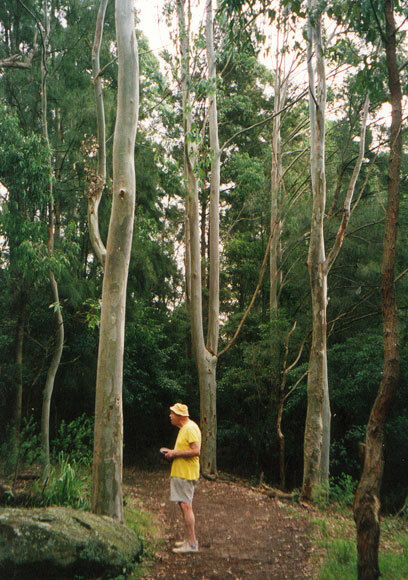 The Hodgson Park bush track at its natural best … and in global warming. 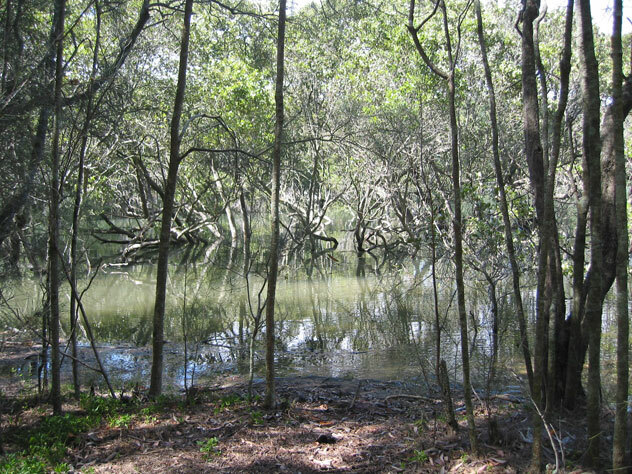 Riverview’s underground tree. It’s at the part of busy River Road that’s had steps added to it to ease the grade (see next photo). The secret part of busy (bushy?) River Road. 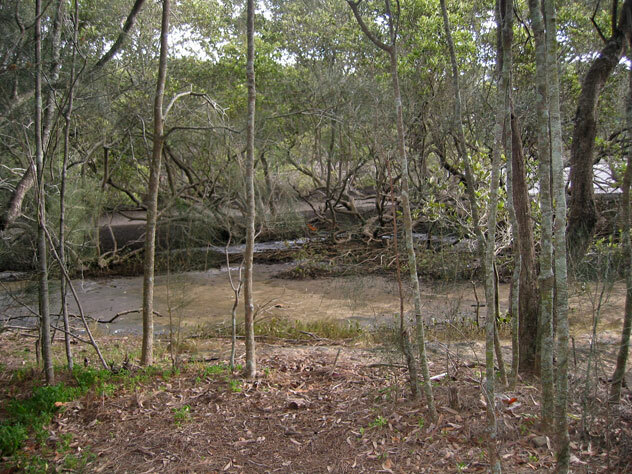 Discover it below Kallaroo Road, Riverview, and beside the closed Tambourine Bay pool. 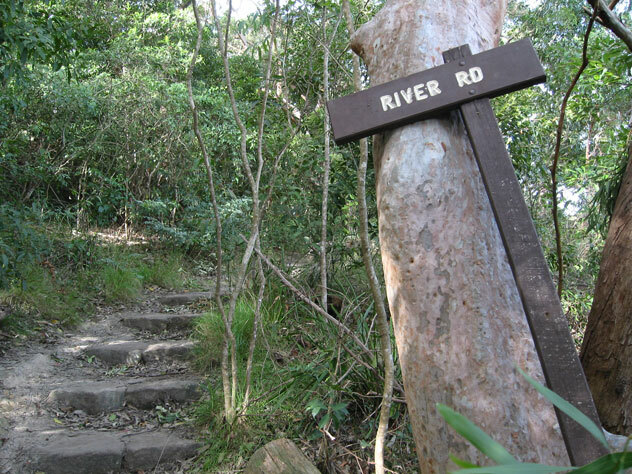 .If you'd like a bush track with a river view, Riverview can help. 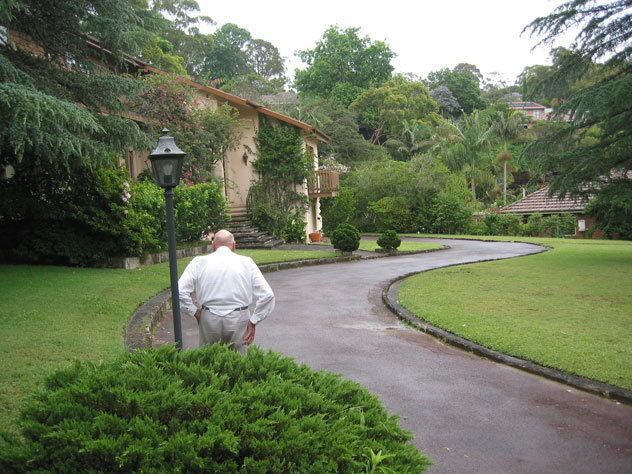 From the bottom of Tambourine Bay Road, go straight ahead for views of the Lane Cove River through to the city and see your first historic well as a bonus. 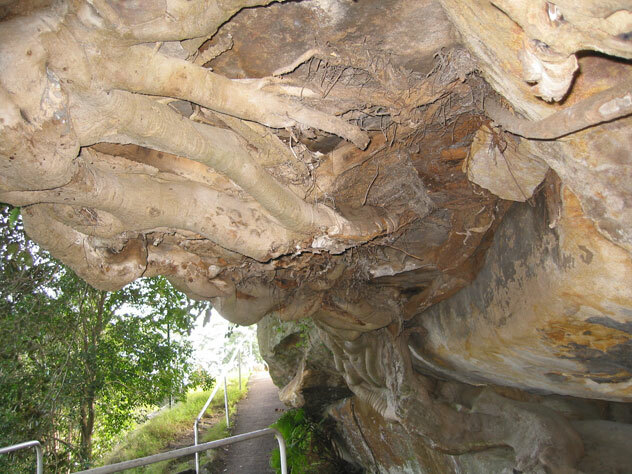 Or walk the opposite direction around Tambourine Bay for mangroves and a creek crossing by a natural rock bridge. Allard Avenue, Roseville Chase, is all sharp bends and our driveway is a perfect match. But there are some drawbacks. 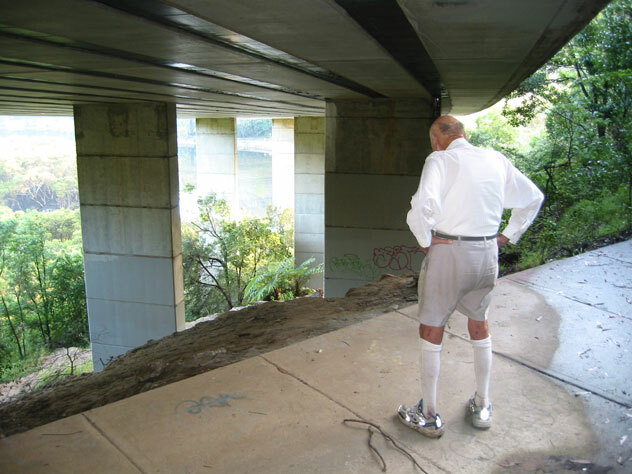 The solid roof construction is Roseville Bridge and the handy 24-hour transport is only two metres above you. Disturbingly, it's a steep 700-metre climb to a service station for your water. 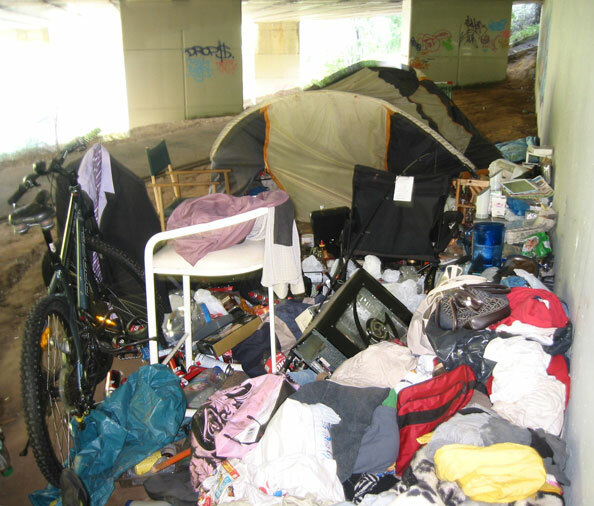 The resident told us that he had lived here for six months. He added that the rangers are happy for him to be there providing he doesn't make any noise. You can inspect this opportunity by taking the path from 42 Babbage Road, Roseville Chase.